If your idea of New York is solely the Manhattan skyline, think again: The Empire State is full of hundreds of miles of wild, undeveloped land, and terrain so varied—from ocean views to mountainous regions—that there’s a place that suits every kind of outdoor pursuit. But during the toasty temperatures of summer, our collective attention turns to ways to beat the heat: more specifically, finding a refreshing body of water. Of course, you can hop on a subway from Manhattan and be at Rockaway Beach or Coney Island in under an hour. But for a more memorable summer adventure, escape the city in search of a classic swimming hole. Depending on where you go, you can even turn your getaway into a weekend adventure. For inspiration, here are some of the best swimming spots in New York. 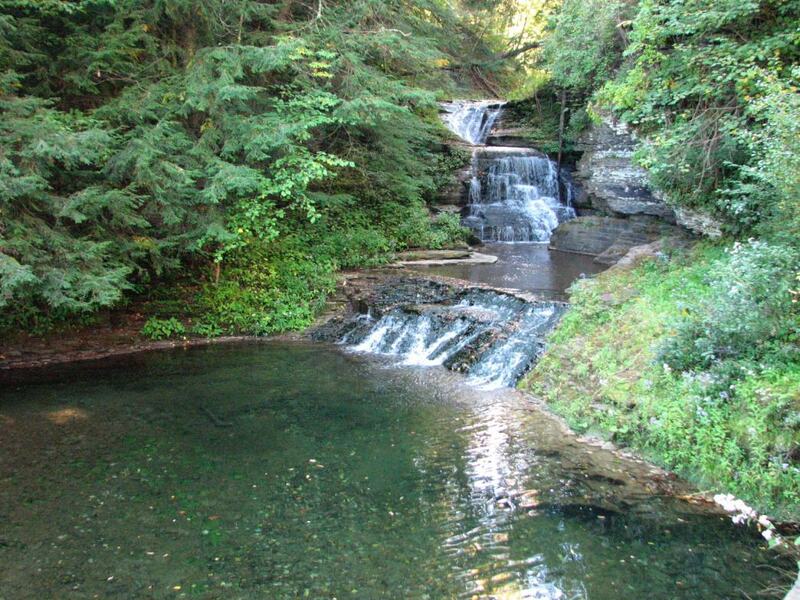 If you’re looking for a traditional swimming hole with a gorgeous waterfall and a town that welcomes outdoor adventurers, put Ithaca on the short list. 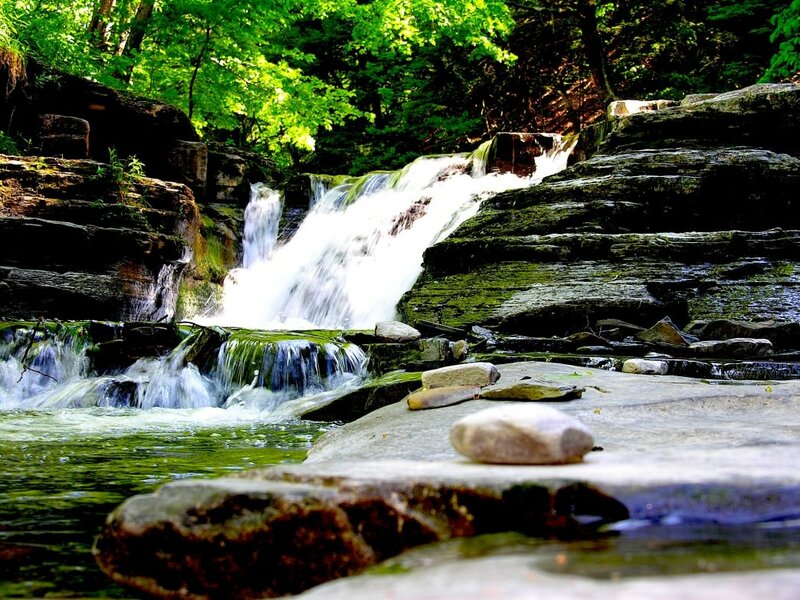 Robert H. Treman State Park is home to Enfield Falls , where, in the Lower Falls, a waterfall cascades into a swimming hole so picturesque it fees like a movie set. The whole scene evokes a '70s summer camp vibe, with sweet platforms for hopping in the water, lounging, or easing your way in on chillier days. Check out the Upper Glen, farther up the river, for a natural rectangular pool too. 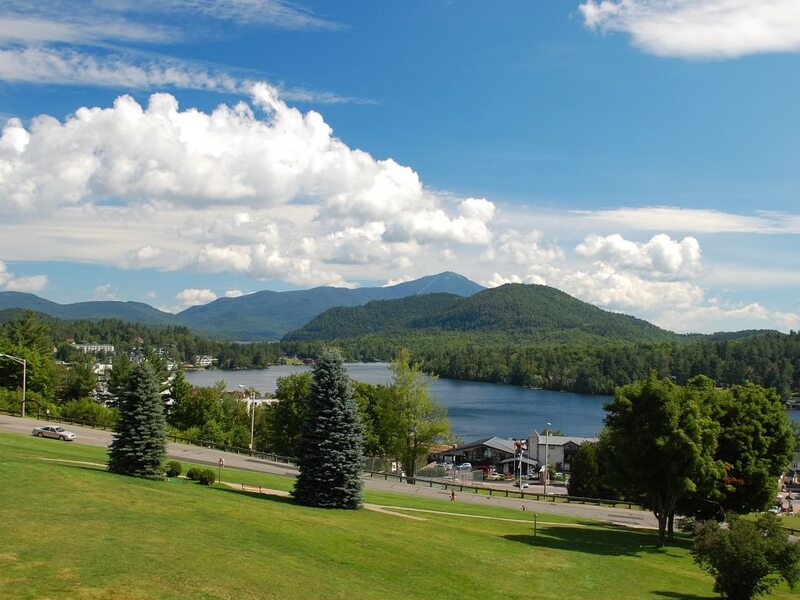 For serious swimmers, a pilgrimage to Lake Placid is a must-do. Mirror Lake is where the 2.4-mile swim of the Lake Placid Ironman takes place (not in actual Lake Placid, surprisingly). It’s right in the heart of downtown Lake Placid, a touristy village brimming in the summer with triathletes who flock to town to log base miles. In addition to its natural beauty, Mirror Lake also boasts a nifty manmade feature that swimmers can take advantage of during training: a metal pipe about 10 feet below the surface that runs the length of the course, offering a convenient way to track distance. A public beach invites family fun, but you can pop into the water from pretty much anywhere around the lake’s edge. A sweet rope swing hanging over the deep water and an infectious party atmosphere make this a supremely Instagram-able spot. The swimming hole is set under some rock ledges, and in parts, it’s deep enough for jumping—but you may have to wait your turn. It gets busy on hot days, and choose your parking spot carefully, as cops are known to ticket cars in no-parking areas. Head there super early to take advantage of solitude, or go at mid-day on the weekend for a busier party vibe. For a seriously scenic swimming hole, there's one with a covered bridge—yes, a covered bridge. 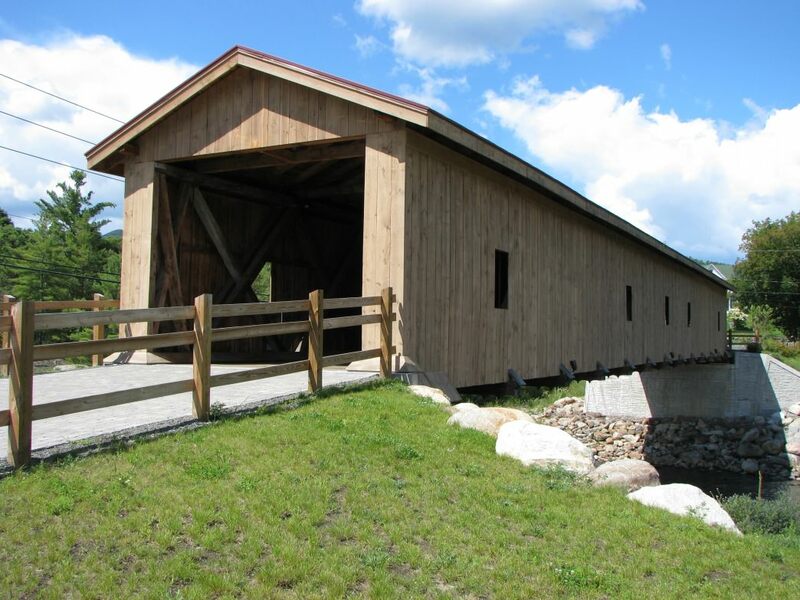 The water is fairly shallow surrounding it, so it’s a convenient family-friendly spot for kids to splash while adults enjoy a leisurely dip and take in the fact that a wooden covered bridge is still standing—and functioning—in 2016. Venture a bit up or down the river to find plenty of small pockets of deep water spots, so you’re not relegated to wading. Flat rocks dotting the river also make for great sunbathing areas if you’re feeling leisurely. 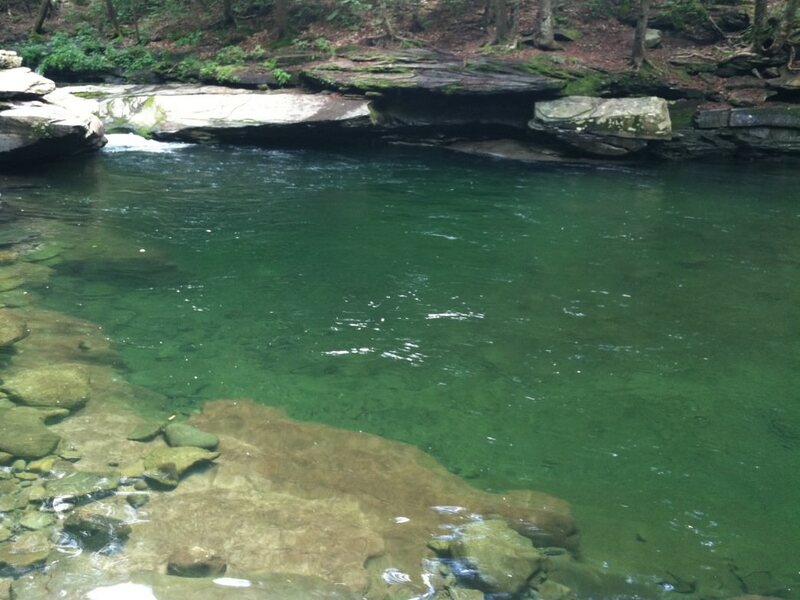 A highlight of this state park , this swimming hole is a solid choice for those who don’t swim much but love the idea of hanging out at a swimming hole in the summer. It’s more of a natural pool, a rectangle of rock fed with water from a stream. Bonus for families: It combines the fun and excitement of a swimming hole with the safety of a swimming pool, with a lifeguard on duty during open hours. But fair warning: The water is chilly, so brace yourself for an especially refreshing dip. 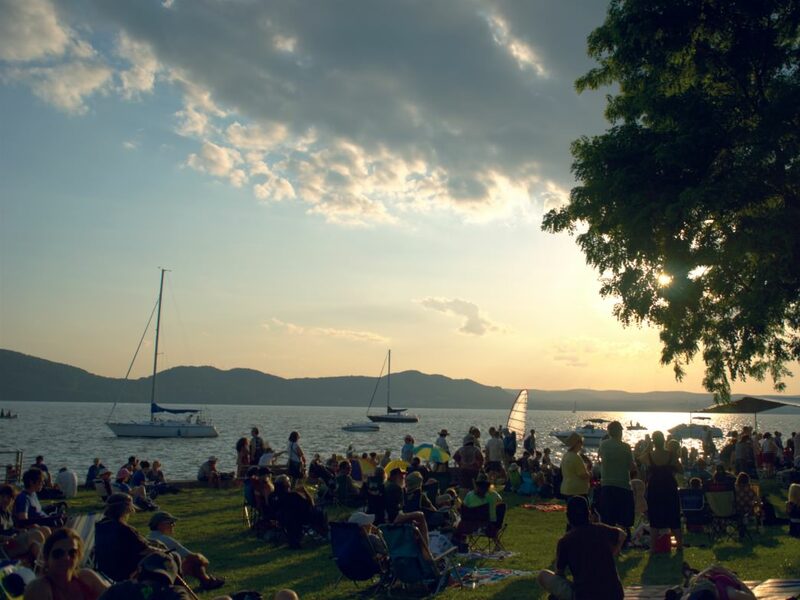 Under an hour by train from the Manhattan skyline, Croton Point Park surrounds an inlet off the Hudson—but is far enough north of the city to where the water looks inviting, not scary. 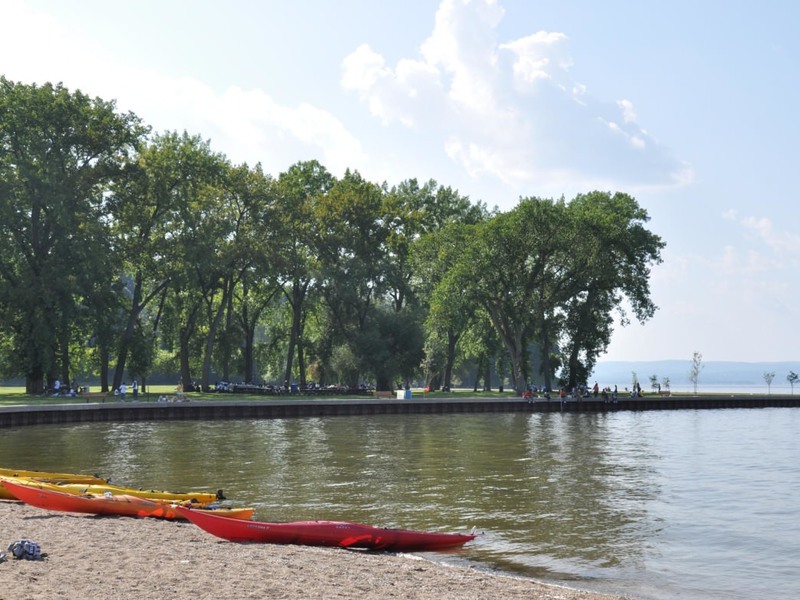 Grab a paddle for some kayaking, or simply take a dip in one of the small beach areas in the park. Before you make the trip, however, be sure to check the park's specific swimming hours . Love the idea of swimming, but prefer it as part of a more ambitious adventure? 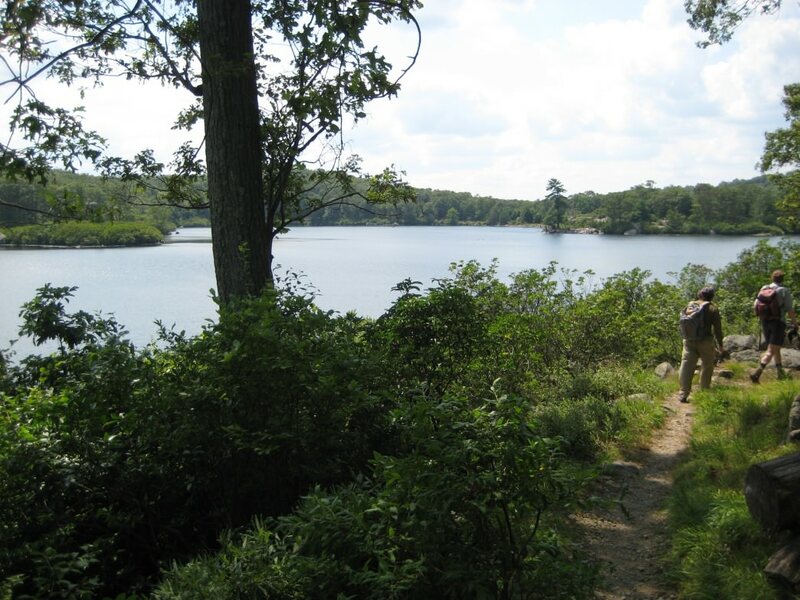 Consider hiking in Harriman State Park , which is easily accessible from NYC. Head out to Pine Meadow Lake within the park, about seven miles out the trail of the same name. A bonus for the ambitious types who make the trek is the relative seclusion of the lake. 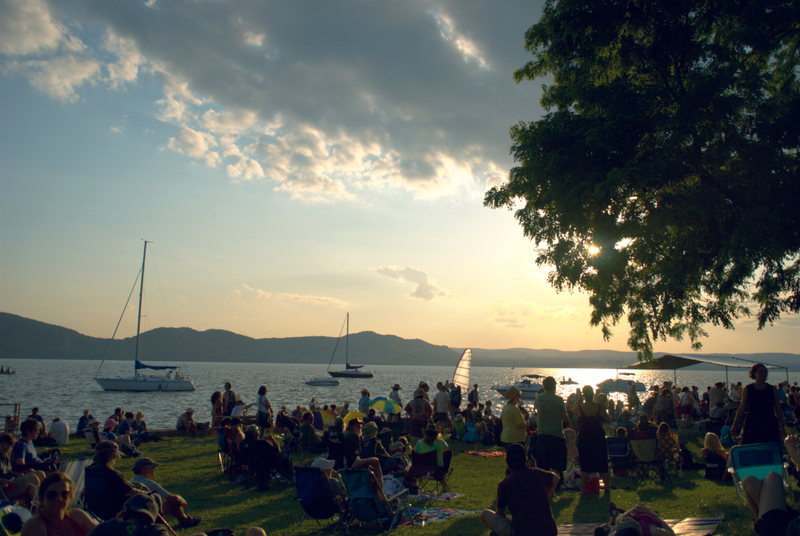 Savor the solitude with with a picnic lunch, then set up camp by the water’s edge and enjoy some relaxed family fun. Another beach area in the park, Lake Tiorati, has lifeguards and approved swimming areas.